I bought a few MCP4651 dual 8 bit I2C pots for a project. After browsing the arduino libraries and finding nothing,"No big deal" I thought to myself ... I've already written I2C libraries for other parts that were much more complicated! (e.g: ADS1219 24 bit ADC)! so just load up the datasheet and watch the memory maps and commands! ok, there are some stuff on page 49 which seem useful! oh boy was I ever wrong! this data sheet looks like nightmare! the worst documentation for any I2C device I've seen so far. The commands I wrote based on that did absolutely nothing! I decided to just try it and see what happens (changed the address to the correct value) and crazy enough it actually worked! so I hacked this piece of code to get the first pot to work! The registers are listed in table 4-1. Clearly enough. The command byte format is shown in chapter 6. That command byte includes the operation and the register number, as well as upper bits for registers that expect more than 8 bits of data. 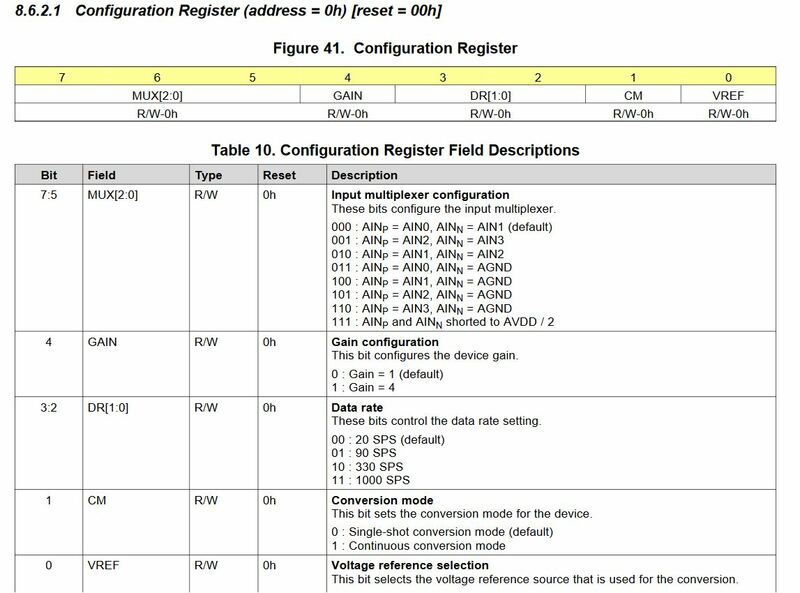 Two bytes are needed to set a register. The first 4 bits are the register number (0000 for wiper 0, 0001 for wiper 1, and 0100 for the TCON register). The next two bits are the operation as shown in figure 7-1. 00 for a simple write. The next two bits are the upper 2 bits of the data. Following that are the lower 8 bits of data. Not the answer you're looking for? Browse other questions tagged arduino-nano i2c potentiometer or ask your own question.